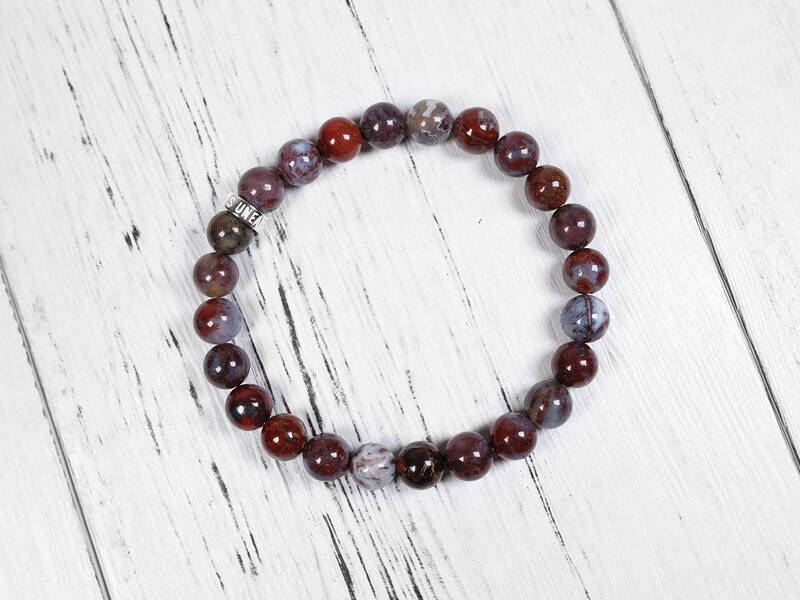 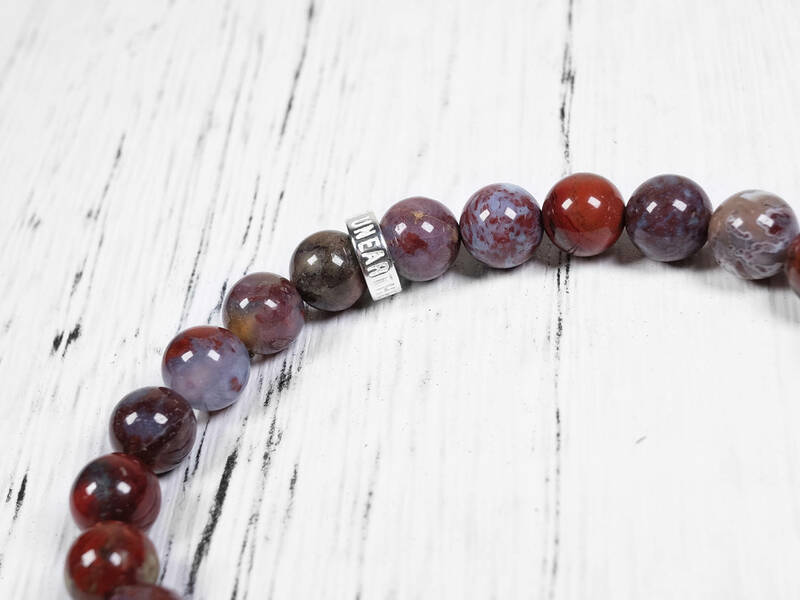 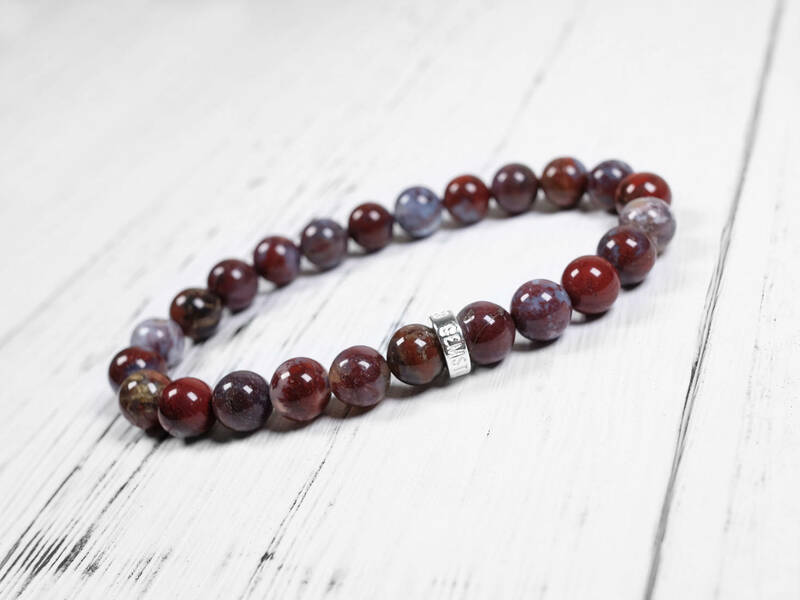 Made with a unique agate from Mexico called red lightning agate, this bracelet is a great way to showcase the beautiful stone. 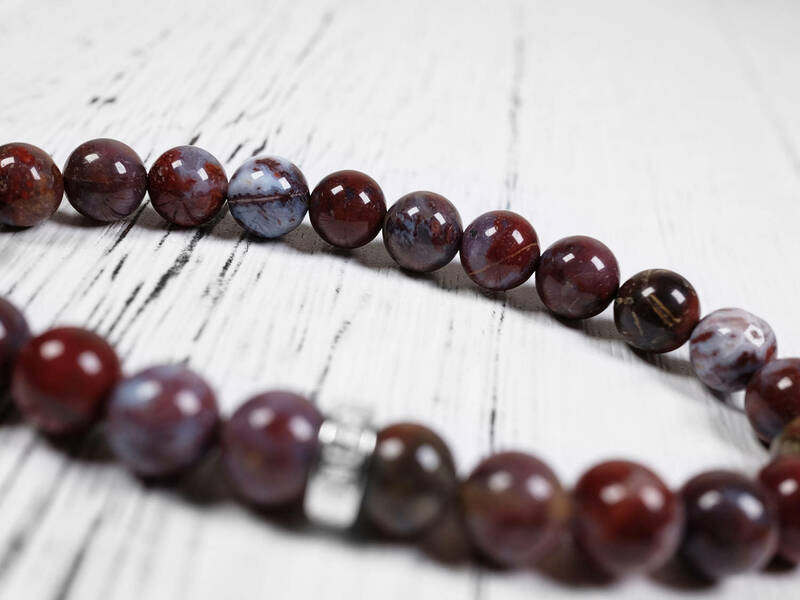 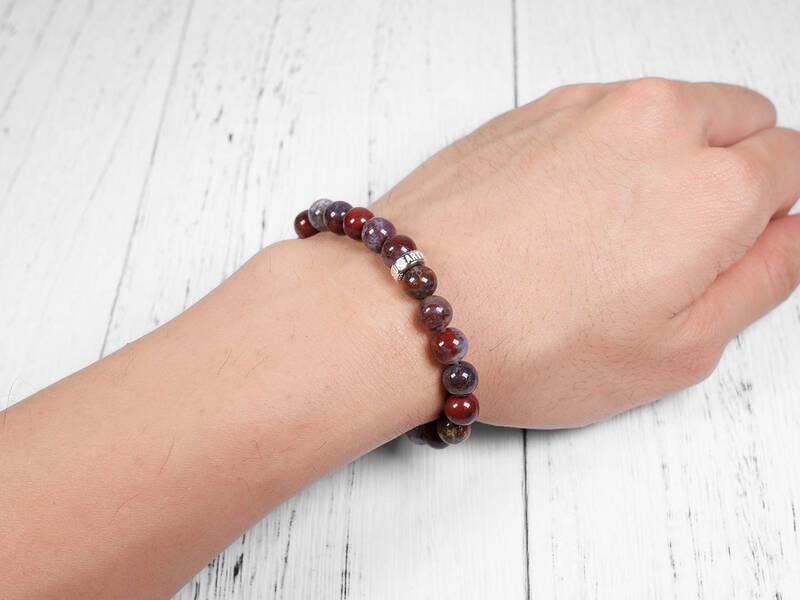 Apart from its rich and natural maroon color, the agate stone has some subtle pattern, adding natural details to this bracelet. 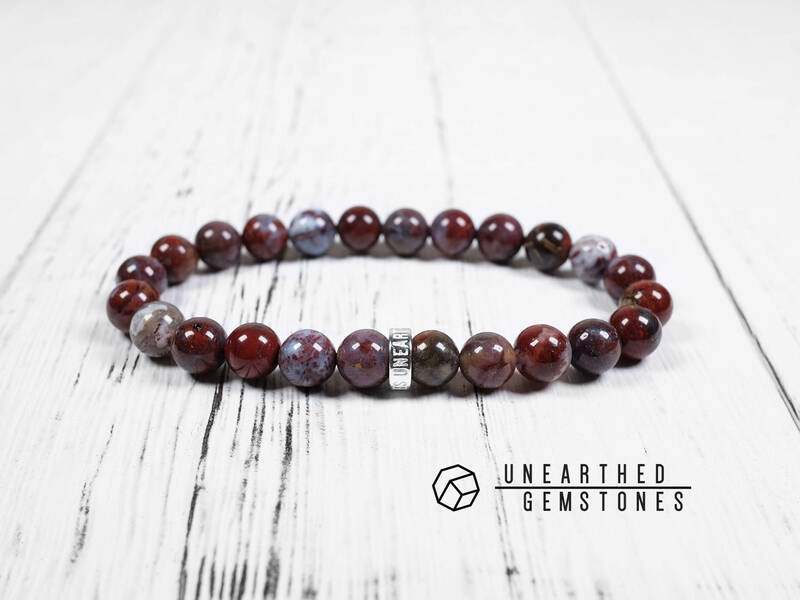 Perfect choice if you are looking for a natural and interesting gemstone bracelet. 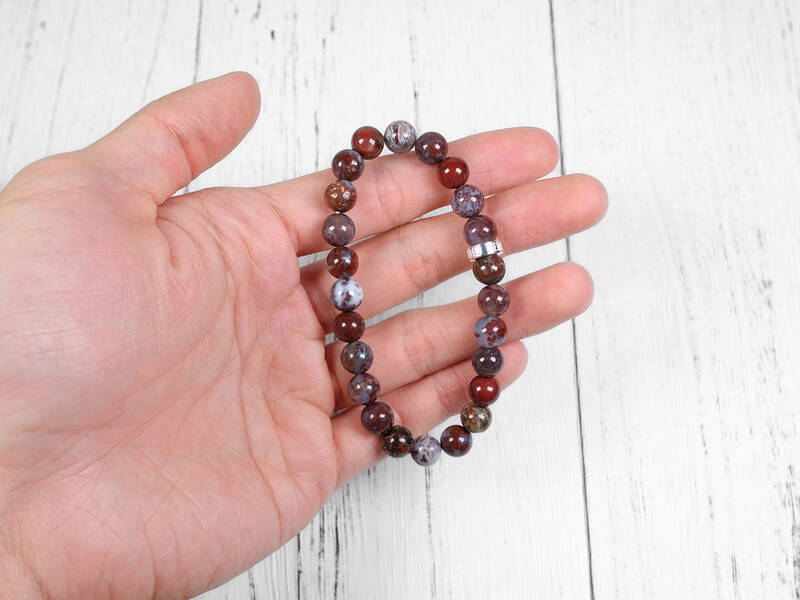 This bracelet is more beautiful than the picture because , while the stones are uniform in size, they vary wonderfully in color and design. 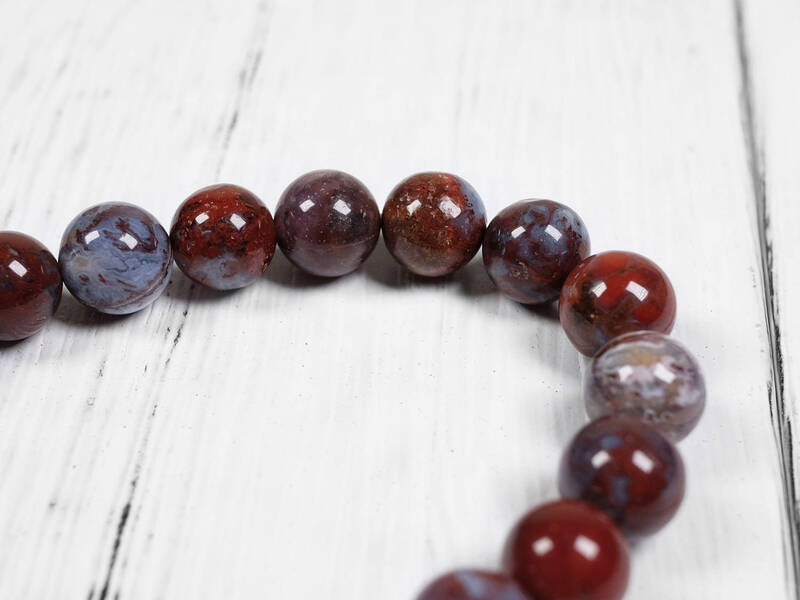 This was the only shop that offered a much sought after maroon color agate. 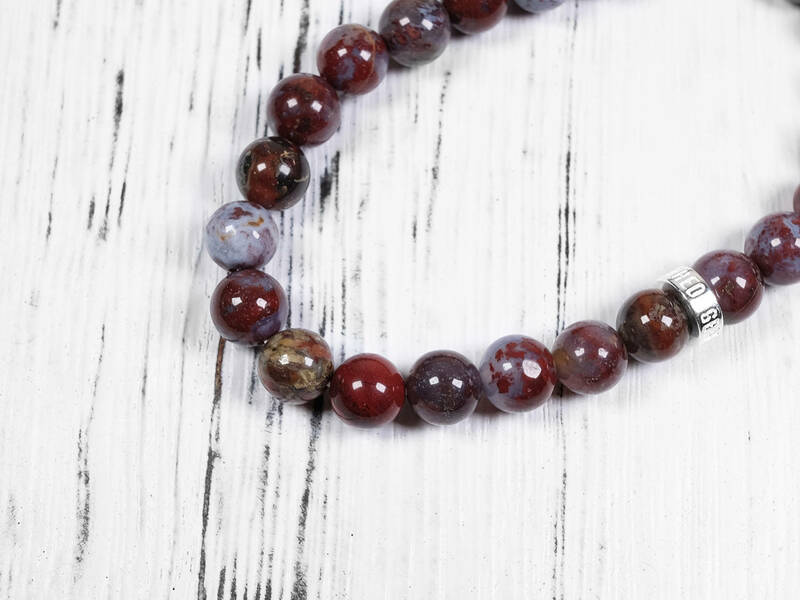 Love it, and will wear it often! 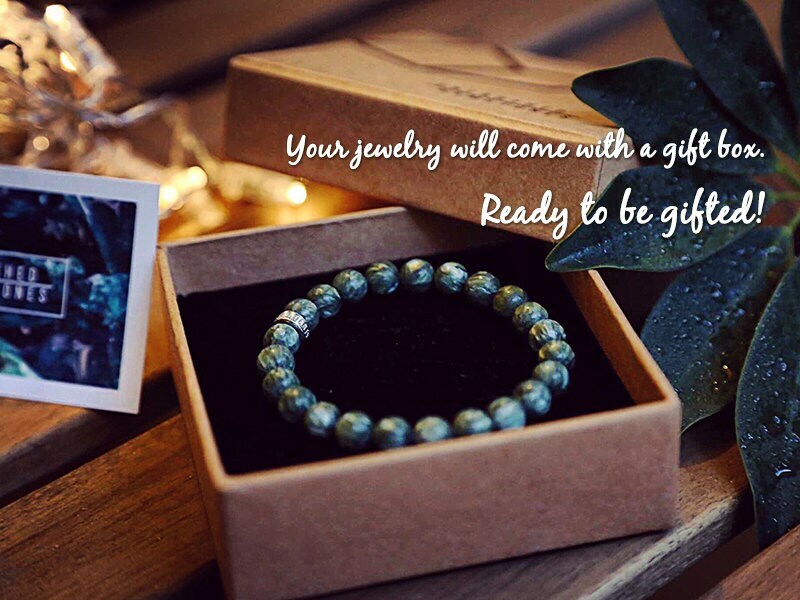 Very happy with bracelet and service...fast delivery as well.